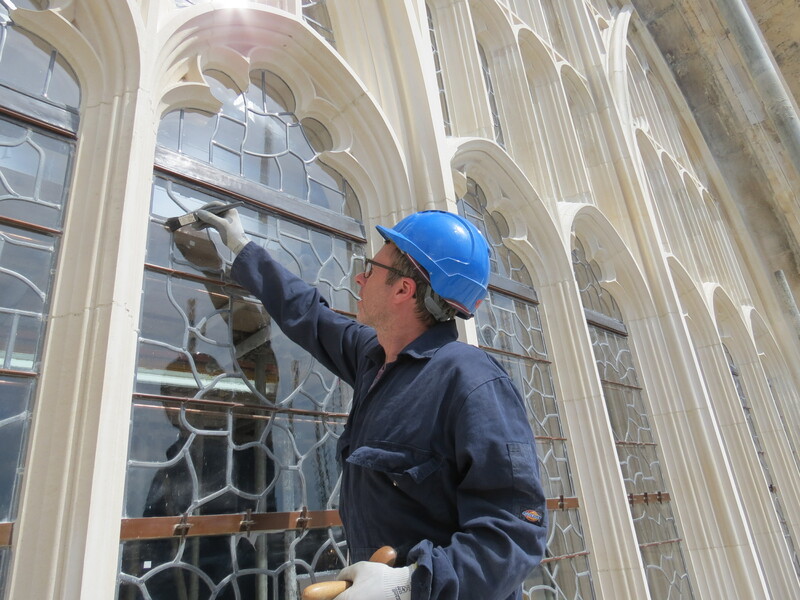 After seven years of surveys, investigations, the meticulous and skilled craftsmanship rebuilding of every stone, work on the Great South Window was completed in November 2016. 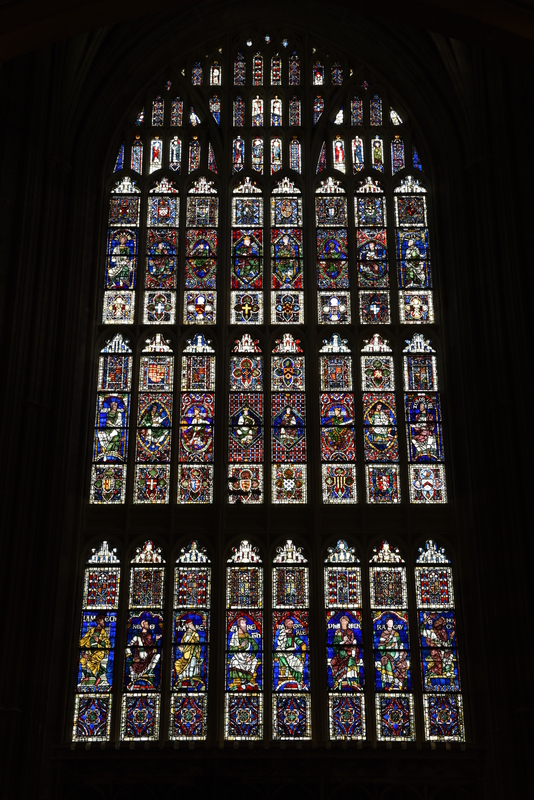 The Great South Window is one of the largest and oldest in Canterbury Cathedral. 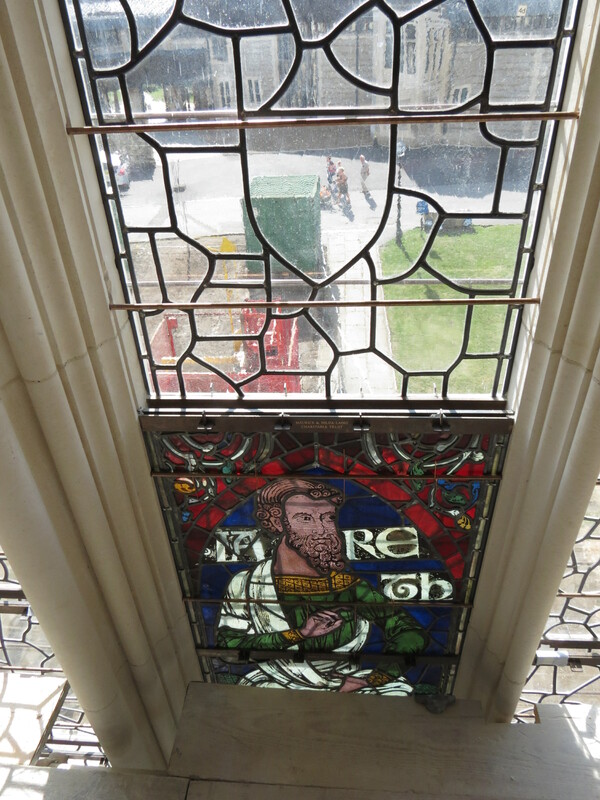 Rebuilding the stonework for the window was an enormous restoration and hugely complicated project. 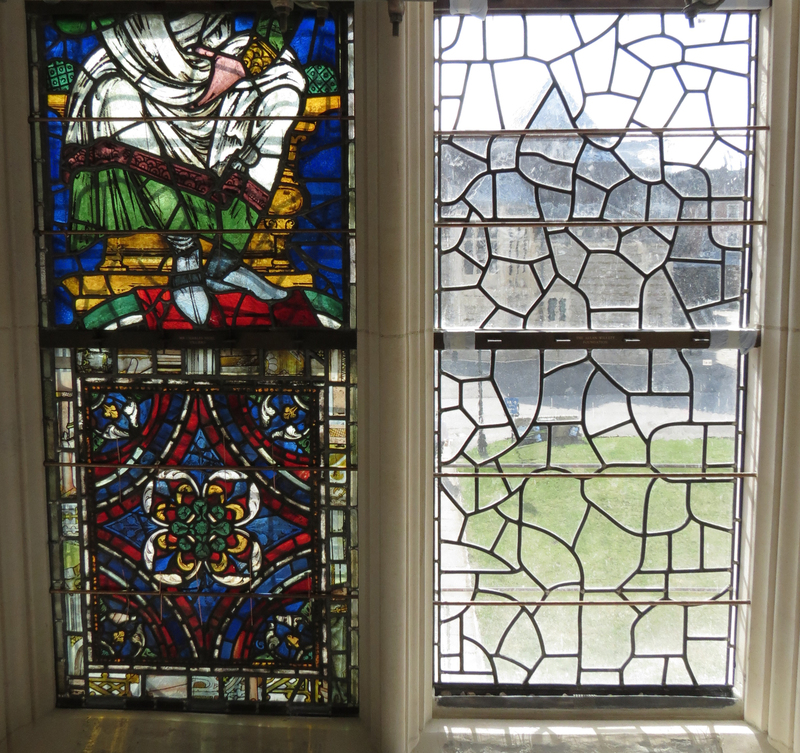 The medieval stained glass windows were removed, conservation work carried out on the stained glass where necessary and finally reinstalled within the new double groove system in stone work, accommodating both the original protective glazing and stained glass. 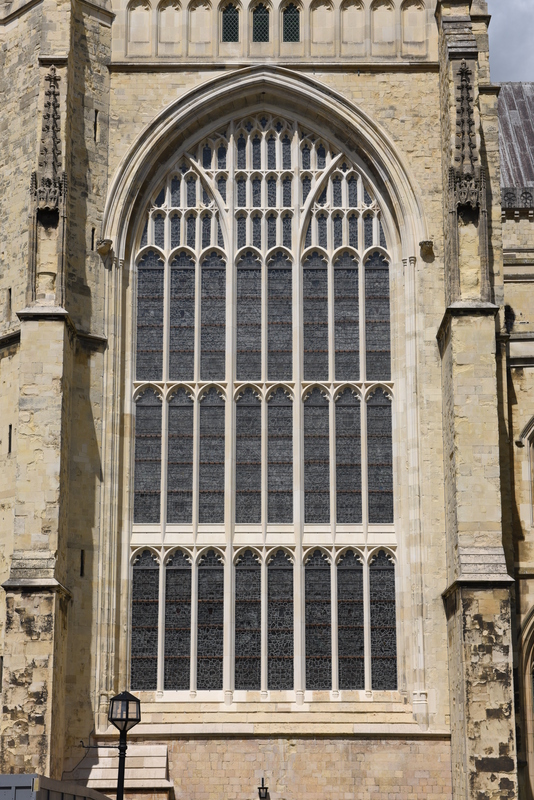 The present glazing scheme was devised in 1792. 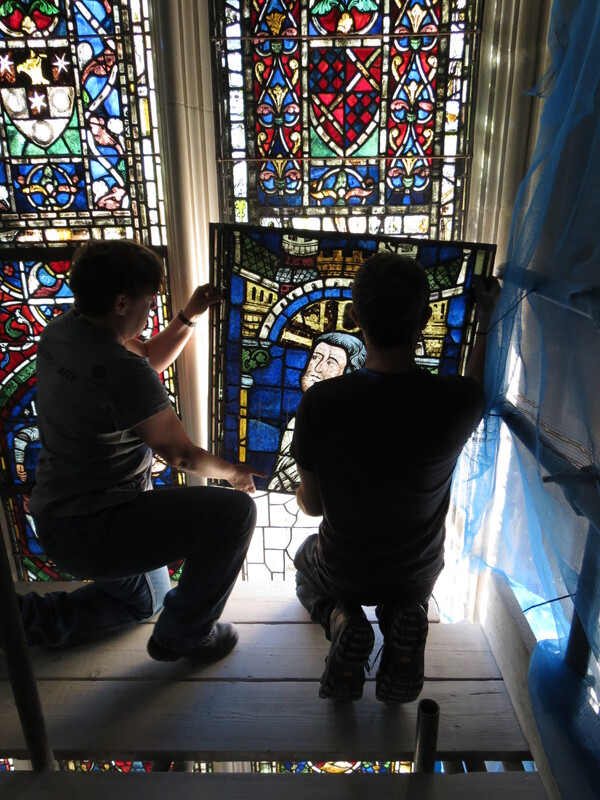 A small amount of the 15th century glass was left in situ at this time but most of it was brought together from different areas of the cathedral. 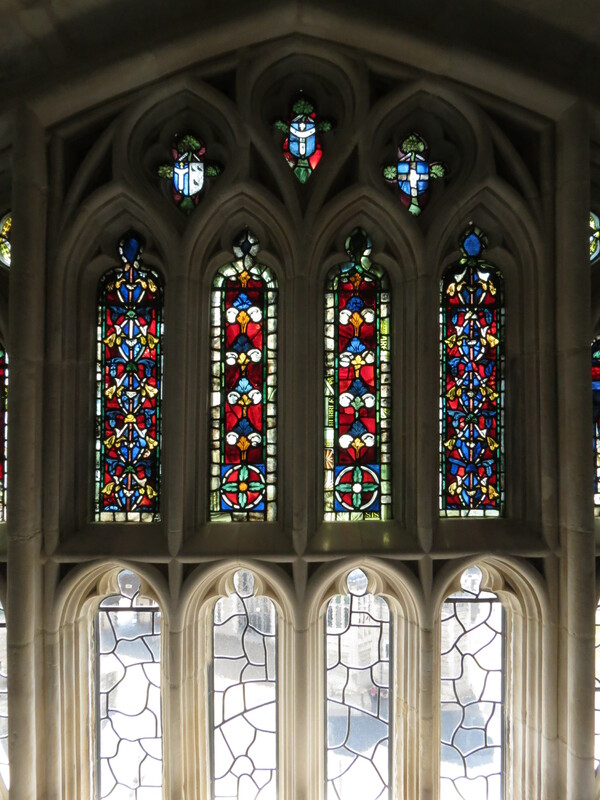 The tracery consists of unidentified figures and floral designs. 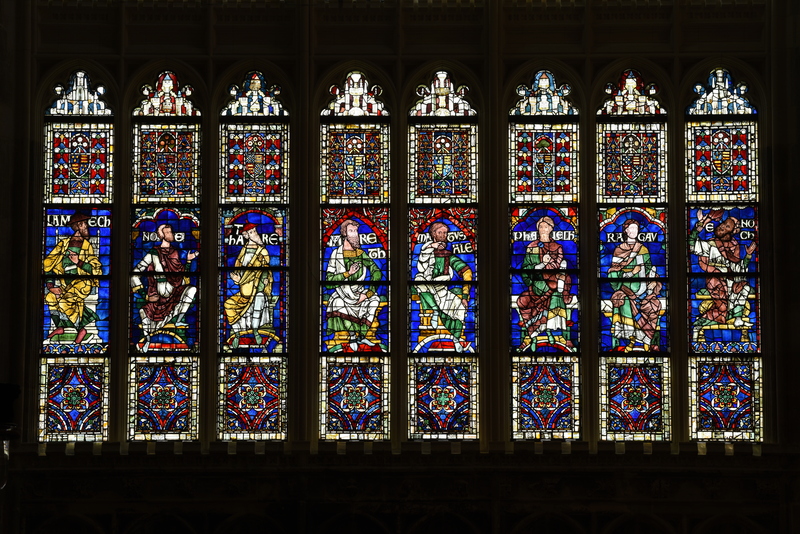 The main lights display the Ancestors of Christ and some of the oldest glass dating to the 12th Century. We make every attempt to ensure that we do not infringe upon copyright. Please contact us if you think there is an issue and we will look into it.